Kell on Earth finale, or Kelly’s final curtain? 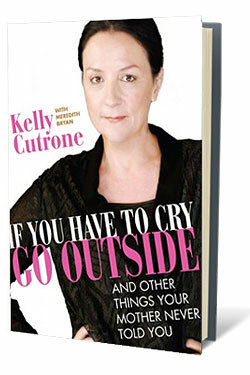 I started this show with the declaration, “I heart Kelly Cutrone.” But, my enthusiasm has cooled, I must admit. 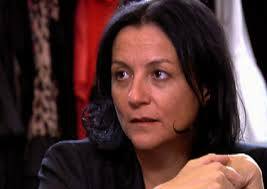 I was so very excited when the series began, but after watching every episode and seeing the office staff verbally abused every week by Emily, Robyn and Kelly? I’m feeling pretty over it. Not even the lovable, Type-A Stephanie Skinner and her best gay, the glam goth Andrew Mukamal (and his insane Versace chair) are enough to keep me feeling entertained. And that *is* the purpose behind watching TV, right? To be entertained? Because at this point, I’m not. — find another place to film besides the sorry little dingy office space, with the air conditioner that’s circa 1977 and probably so loud when it’s on that they have to keep it turned off on filming days. I already understand that “fashion isn’t all champagne and kleig lights, it’s hard work,” so let’s move forward, m’kay? — and, focus less on the dysfunctionality of the People’s Revolution office schedule and how it ruins the staffers lives, because that just makes me sad. …Well, at least we have “Christian Siriano: Having a Moment” to look forward to. Hell yeah, let’s bring back the Project Runway Golden Child. At least he knows how to work a sound byte.